Book talk returns for “Wildcard Wednesday”! 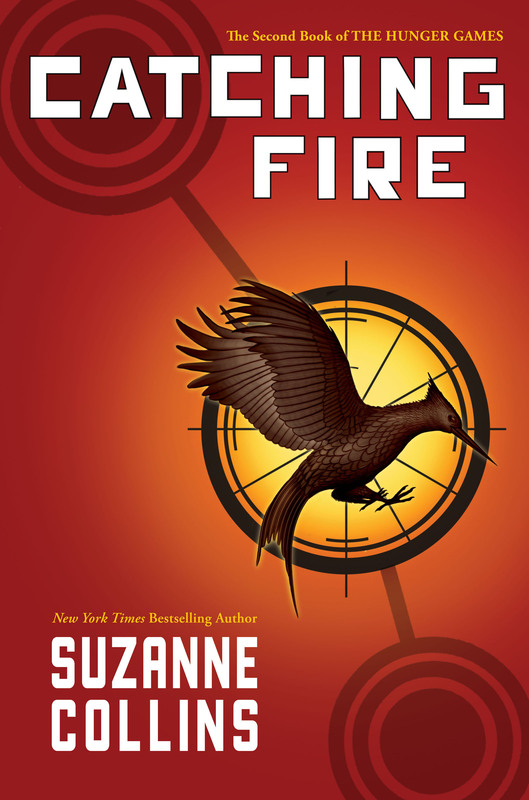 As promised, Jen returns with her report on “Catching Fire,” the second book in the “Hunger Games” trilogy. She also shares her thoughts on “Extremely Loud and Incredibly Close,” a post-9/11 novel by Jonathan Safran Foer. It’s hopefully not much of a spoiler to say that Katniss Everdeen makes it out of the first “Hunger Games” book alive, and the second novel explores what her successful survival means to her and her people. While she remains front and center, other characters are given a chance to shine. And while this young-adult novel heads where you might expect early on, there are still surprises. As for “Extremely Loud,” a story told from the point of view of a 9-year-old can be a bit over precious, but the novel nonetheless strikes a chord and is the first to really make Jen cry in some time. There’s more book talk to come, but for next Wednesday, Jen’s thinking of mixing it up by sharing some of her favorite iPhone apps. Got your own suggestions? Let us know! This entry was posted by Ryan on June 7, 2011 at 3:39 pm, and is filed under Books, Podcasts, Wildcard. Follow any responses to this post through RSS 2.0. You can leave a response or trackback from your own site. 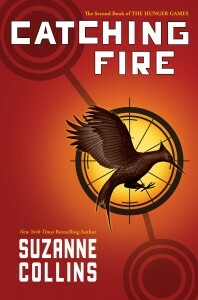 Just had to right and say that after your review of The Hunger Games I had to have a read – and I’m hooked! Managed to read half the book in a day and would have finished it if my 2yo isn’t in the habit of getting up at 5am. I can’t wait to see the film adaptation and think the casting of Woody Harrleson as Haymitch is genius. I’m amazed at the depth of character, story pace and dark theme in a YA book – it better written than some “grown up” books I’ve read. The genuine peril of The Games is just thrilling and I’ve not even finished it yet. Thanks for the great recommendation. Great to hear from you, Cat! And love that you’re hooked on and burning through “Hunger Games” so quickly. Thanks for your comment! I have been hearing so much about the Hunger Games, first from Hypable.com, which is where I go to get my Harry Potter and Twilight fixes. I have been trying to find my next obsession, and when I heard your podcast about Catching Fire, I decided to give this series a shot. And I’m so glad I did! I read all three books in a week and am so excited for the movie next year. I hope that if/when you review Mockingjay, make it a non-spoiler-free episode. It would be nice to hear your thoughts about specific plot points, and especially the epilogue. I found it heartbreaking yet oddly romantic, and still have a lot of questions I want answered. In the meantime, keep up the great work with the podcast! I am glad that you are enjoying this series. I promise that will also love the Maze Runner books if you like the Hunger Games series. There are currently two books in the series (book two is called the Scorch Trials) and another to be released some time in the Fall. I would love to hear your thoughts. Absolutely hooked on this series after hearing your review. Just finished Catching Fire and starting Mockingjay tonight. It’s been the first series since the Harry Potter books that I just can’t put down. They just sucked me right in. When trying to explain this to my husband I realized that they also remind me of another amazing series of books — the Ender’s Game series by Orson Scott Card. You are probably familiar with them, but if not they share a lot of the same themes — honor, rebellion, determination. They are certainly a little heavier than the Hunger Games, but definitely worth the read if you haven’t already. The accompanying Ender’s Shadow is also a fantastic read.